When you think of fireplace mantels, you probably picture the traditional fireplace mantel pictured on Christmas cards. These traditional mantels feature plain designs made from brick or a plain stone, and they blend into the background. SoCal Fireplace Mantels offers fireplace mantels that are more than just a place for your framed photos or knick-knacks. We offer fireplace mantels in a variety of stunning designs and materials that will make your fireplace the focal point of the room. SoCal Fireplace Mantels offers French-Country fireplace mantels that are ideal for your home or business. The French-country design features natural elements such as flowers, vines, and flowing lines in traditional white or yellow marble or stone. These simple, natural patterns mesh well with a variety of furnishings, from simple wicker to comfortable plush sofas. Another popular style that is experiencing resurgence in popularity is the British Colonial style. British Colonial fireplace mantels feature geometric designs and solid, square construction that is ideal for businesses or for homes that feature antique furnishings or furniture with stark lines or colors. 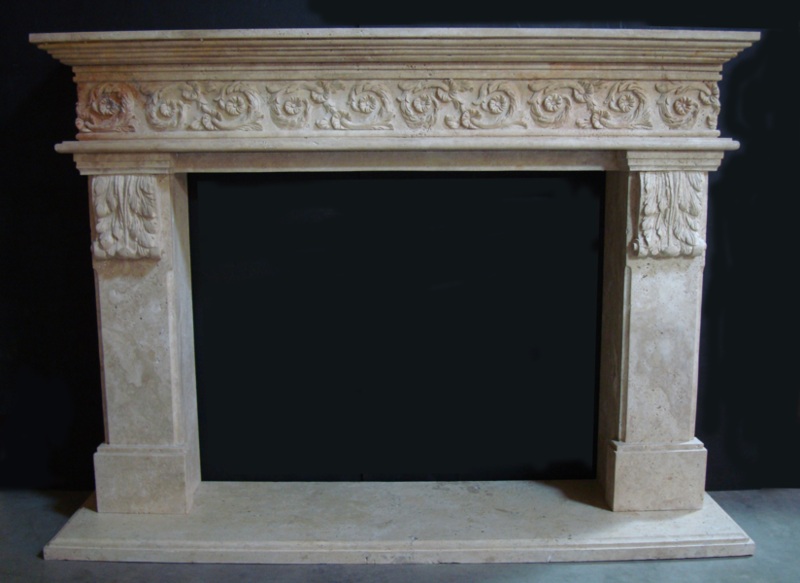 Many customers are also choosing Art Deco fireplace mantels for their decorative designs and bold use of color. If Art Deco is not for you, we also offer several modern styles of fireplace mantels or even custom mantels that can be designed specifically with your home or business in mind. Come visit our showroom in Van Nuys to view all of our fireplace mantel designs as well as to examine some of the many natural and cast stone options for your fireplace mantel. Our helpful representatives will be glad to assist you and to answer any questions that you may have.